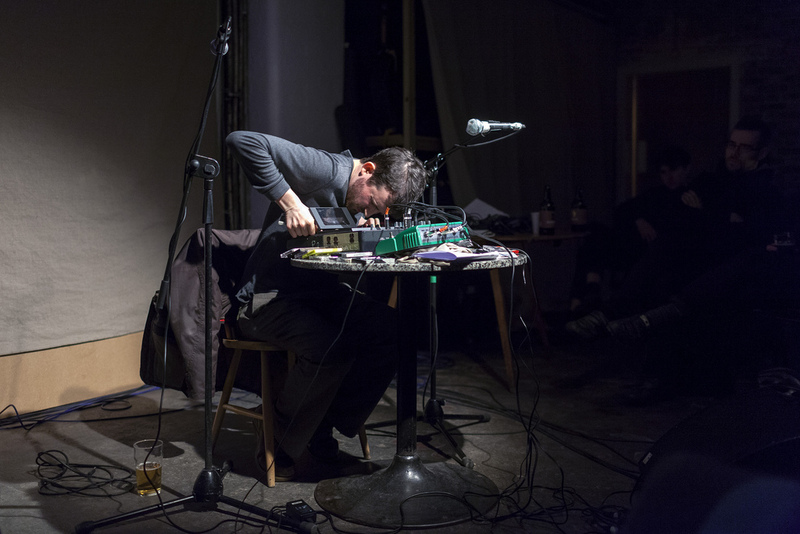 Ducan Harrison is a Brighton based experimental sound artist working within the fields of free improvisation, Fluxus-based performance art and noise. I consider myself a music fan, but for a while now, I got irritated by music, without really knowing why. Than I read an interview with Dylan Nyoukis in The Guardian, where he said he doesn’t like to work with ‘real’ musicians because they don’t listen, they just want to play. And than I thought: that’s the problem right there! I got irritated by music because most musicians don’t really listen, do they? That’s why I prefer the records of Graham Lambkin or Gabi Losconcy; because you hear that they have been listening to what happens around them. But enough about me. How did you get into non-music, noise and sound art? Well, I expect the sweeping and provocative nature of Mr. Nyoukis’ statement is perhaps meant to be taken with a few grains of salt but there is a good point in there about the importance of listening in weird music/noise/sound art or whatever you want to call it. I’m not a big fan of absolute statements that imply there is a way things ‘should’ be in art (or many other things) but if was forced to name one single aspect most key to understanding this music I’d say it was listening. Your wording there about Lambkin or Losconcy’s work is very good at articulating the quite extreme take on the relationship between listening/music that those guys seem to work within. I’ve been to many improvised music shows where people barely able to play a note ‘properly’ on their instruments give performances which comfortably sit alongside or, in many cases, totally best the other, more schooled players of the night simply because of their strength in being able to listen and move with what’s going on. I suppose the problem you might find with a lot of ‘real’ musicians then is that – in the context of improvising at least – they might struggle to abandon what their training tells them ought to be happening in favour of going along with what actually is. My entry into all this stuff was the pretty normal result of just being a big music fan from a young age and always hungry to hear as much as I could. From early on I was very interested in extremes within music and so by the time I somehow stumbled onto things like Merzbow and The Haters in my late teens it felt like a logical continuation of the blasting metal and punk I’d started listening to a few years prior. At the same time, I appreciated things like The Residents and late Einsturzende Neubauten for how unlike anything else it sounded to me at that time. Extreme in a different way. I had already gotten into playing my own music in my mid teen years, teaching myself guitar and bass as well as dabbling in some keyboards and vocals. By the time I started becoming interested in more abstract music it felt natural to try my hand at that too and not a million miles away from the kind of playing around I was already doing with some of my intstruments. At the beginning of your concert at the ‘100 years of DADA’ at Cafe Oto, you say: “You expect to see some ant-art or anti-music?” And the audience says “Yeah”. So you’re aware of the contradiction of anti-art becoming an established art form. So why do you still do it than? Isn’t it the task of an artist to push things forward? Can one be nostalgic in the avant-garde? Is being personal and honest what makes art or music valuable (and not ‘new’)? Is anti-art only a contradiction in terms if it gets popular? I don’t think it really succeeds in any case or at least not according to its own ostensible aims. It’s true that there has been a lot of work done in the name of confounding common aesthetic form and experience but the ultimate effect of these efforts has been to expand art rather than destroy it. In my view, art is a phenomenon of human cognition more than it is an act of presenting materials a particular way, so to claim that you have somehow transcended the aesthetic experience by setting fire to a canvas or shitting yourself in a gallery or drunkenly berating the crowd at Cafe Oto is pathetic. I love a lot of work that tries to challenge and question or test the patience of its audience but do so out of a general appreciation of art and not because these things turn my world upside down with their stunning revelation of new, unseen forces. I suppose what I’m criticising here is the same thinking that tells us the Avant-Garde must ‘push things forward’. To me, this is the nostalgic point of view since it’s almost always stated in reference to what was happening in decades past. I think that new ideas and agendas are being advanced in the arts all the time, just probably not by people who want to have the same conversation over and over again about what does or does not constitute art. Perhaps the experiment of re-determining the given boundaries of art has already been completed, leaving those of us working within its new spaces to do so simply because we agree with the findings and enjoy the results. So, while it could be an artist’s ‘job’ to ‘push forward’ if they want to, I find that it’s the people who simply follow their urge to create according to their own vision rather than a pre-ordained mission statement who end up making the most worthwhile work. Do you see what you do as ‘noise’? And what would your definition of ‘noise’ be? My definition of ‘noise’ accommodates for multiple uses of the word and, of course, depends entirely on context. I am well aware of and have some interest in the more academic or theoretical readings of noise in/as music as something ontologically contradictory but simultaneously, I’m not hung up about using the word in context of describing or referring to certain kinds of music. Of course you have to acknowledge at some point that noise and music are definitionally opposed phenomena but I see no problem in speaking colloquially or in short hand in conversations about music. I suspect that some of the defensiveness surrounding the noise/music debate stems from wanting ‘noise music’ to be recognised as something outside musical genre. In a lot of ways I agree with that and don’t want to suggest that noise – or any music in fact – should be understood only according to a series of characteristics and tropes but there are better ways understanding genre itself. Some theories in social studies would consider genre as something produced by the experience of and discourse surrounding media rather than a removed process of identifying its content. 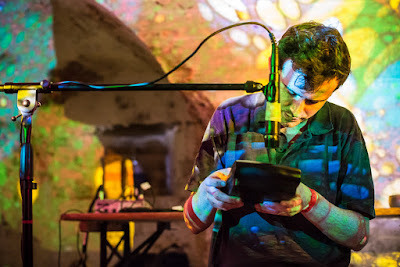 If we look at noise this way then we can accept that while it is mostly consumed and circulated as more or less any other underground musical subculture might be, it remains inherently variable and complex in its possibilities and the different purposes it serves. For this reason, I’m happy if my music is described as noise. It’s certainly the general culture from within which I operate…but I don’t think I’d get away with telling someone wearing an Incapacitants shirt that I did ‘noise’. Context, I suppose, is everything. What do you think of this quote: “If you’re radical in real life, than you’re not a very nice person, but if you’re not radical in your art, than you’re not a real artist” (Jan Hoet). I see radicalism mostly as something people use to distract themselves from how utterly helpless they are under the sway of Capitalism and their own disgusting human nature. During your concerts, I often hear people laugh. Does humor belong in music, you think? Or is what you do not really humor? Is it more a form of absurdism, maybe even ridiculousness, stupidity? Absolutely. It can be all of those things and their effect can be very strong. Sometimes friends or family have asked me whether stuff I’ve done or things I’ve show them are ‘serious’ and I usually say that it might not be serious but the people on stage are serious about doing it. Humour and the atmosphere it can create are really underrated tools when it comes to provoking a reaction from a crowd and even creating a particular kind of aesthetic in doing so. We agree that there is artistic value in making people weep or smile or dance angrily, so why not in making them laugh? If nothing else, humour is an excellent way to break down that awful, stiff, polite barrier between performer and audience that you find so often at gigs. Give me a rowdier crowd who aren’t afraid to express their reactions to what’s going on over a placid sea of observers any day. I take laughter as a sign people are enjoying themselves and not taking things too seriously which can only be a good thing. What are you looking for in your work? Is part of it, as LAFMS claimed, looking for ‘the lowest form of music’? Not at all, though I love LAFMS. I suppose if I had to crystalise all of my intentions into one aim it’d be to find the point at which all of my influences, inspirations and ideas meet in a single expression. I accept that this may not exist but I’m happy to go on looking for it. If you think this is an irrelevant question, just say so, but does alcohol play a role in the creation of your music? It’s not an irrelevant question but I’m keen to hear what makes you ask? What can I say? I’m a young man born and raised in the UK with Scottish/Irish parentage and I’ve spent most of my adult life hanging out with artists and music obsessives. Alcohol is a consistent pleasure in my life and must in some way play a role in my music. Probably not so much in the recording process unless you count drunken events captured on a phone or tape player that I discover and use months after the point of having forgotten they took place. In a live situation then alcohol is much more influential because what else is there to do besides have a few drinks during all that time spent hanging out between soundcheck and playing? Cheers. Do you think that what you do as ‘very British’? Well let me first say that I have always found the typical experience of being ‘British’ to be severely unappealing. The common way of life here is heavily based on ignorant and uncritical adherence to a boring, arrogant status quo concerning how one should behave, dress, think, consume and self-identify. As the social and political climate in this country gets more and more shocking I certainly hope that what I do doesn’t come across as too much of a ‘British’ thing. I’m far more interested in how it sits within a culture which, though small, operates globally. Having said all that, I don’t see the point of trying to deny where I’m from and have no problem if some DNA of my nationality is to be found in my work. I’d guess (though how could I know for sure?) that this might include the frequent use of my own voice and accent, a particular kind of humour at play a lot of the time and, of course, the influence of many other artists working in Britain whose work I get to see and interact with. Do you see playing live and making records as two completely different things? Yes and no. A recording listened to at leisure in somebody’s home versus a real time live performance in a venue obviously present two different sets of considerations and required working methods. For example, I usually find the process of recording to be a lot more controlled, technical and slowly enacted over time while the conditions of a live performance vary quite radically in each case, requiring much more visibility, flexibility, immediacy and room for manoeuvre. Of course, there are no absolutes; sometimes it’ll feel appropriate to do a totally non performative live show simply mixing audio, and some projects get finished very quickly and crudely during recording. I’m interested mainly in the end results, not purity of method, so I don’t really mind catering my approach to the medium. The bigger picture is that both things are platforms through which I can try to develop a wider set of ideas and the thread running through everything I do is based on concept rather than what form it takes. For this reason I also work with text, visual art and installation, though audio and performance are the two things I wind up doing the most. In the end, though the results may look, sound or feel different, I think they can all quite easily be considered as one body of work.